Earlier in the week the weather forecast for the weekend was looking good - blue sky all weekend in Ballater! Not only that, but I had just bought a new camera and was eager to test it out. 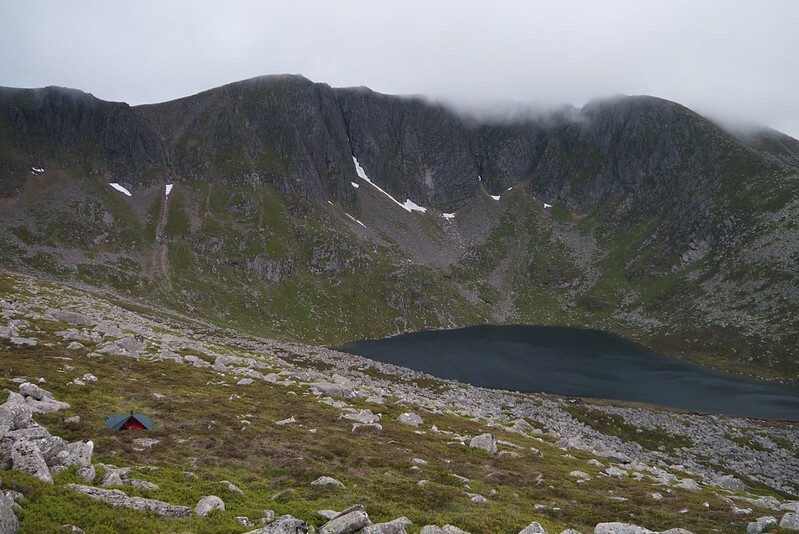 A weekend bivi on Lochnagar was therefore on the cards. I left for Ballater on the Saturday afternoon. Driving past the Queen's View near Tarland, I looked across to Lochnagar - it didn't exactly look like it was bathed in sunlight - quite the opposite; it was under grey cloud. 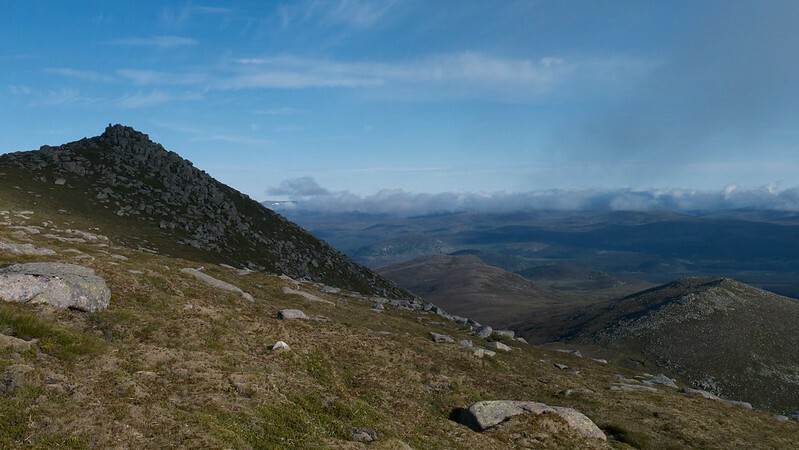 I continued on to Ballater and then headed on the single track round up Glen Muick. Still cloudy, but a few patches of blue sky, so I debated whether to continue, since I had been hoping for some golden sunset and sunrise scenes and those didn't seem so likely after all. I decided yes, who knows what the morning would be like? Several people had set up camp beside the road, and the car park at Spittal of Glen Muick was still reasonably full when I arrived at around 6pm. 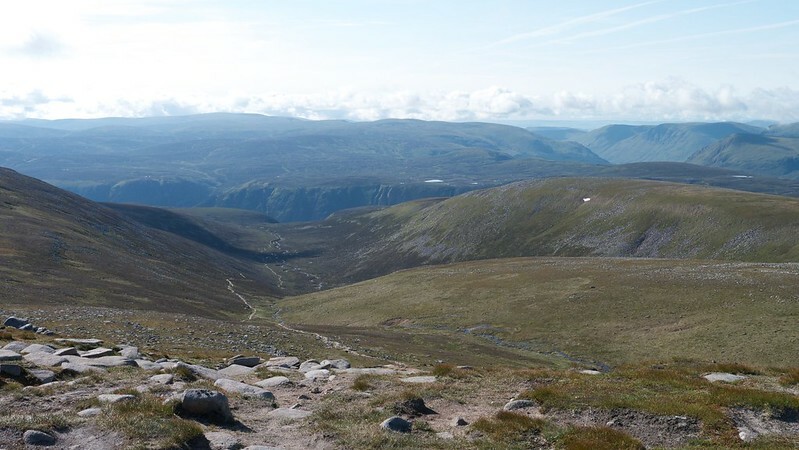 I set off from the car park, my rucksack less heavily laden than usual for an overnight camp. I wasn't taking any cooking equipment or spare clothes this time. A few walkers passed me, heading back to their cars as I took the track from the Spittal across the floor of the glen, through the woodland and up into the moorland beyond. I paddled through the Allt-na-giubsaich where a few people were lazing on the rocks in the stream. 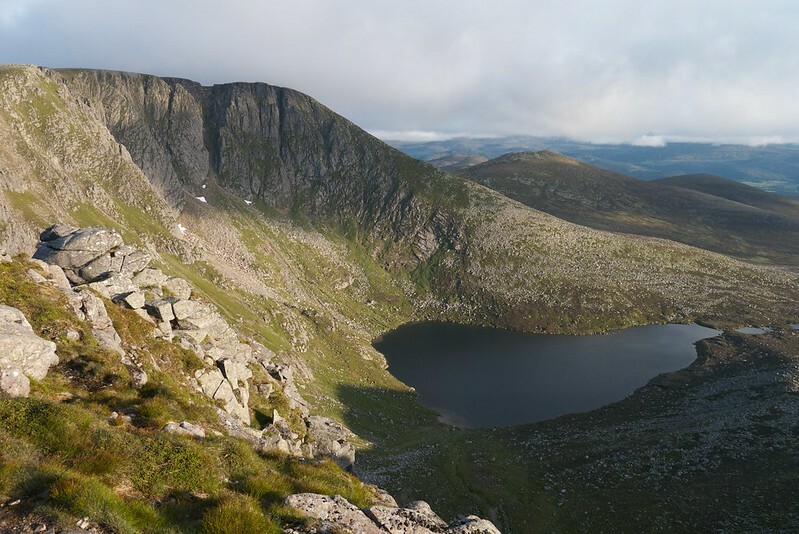 Onwards and upwards, to the bealach between Meikle Pap and the rim of the Lochnagar corrie. I searched around for a suitable spot to set up my bivi and tarp. 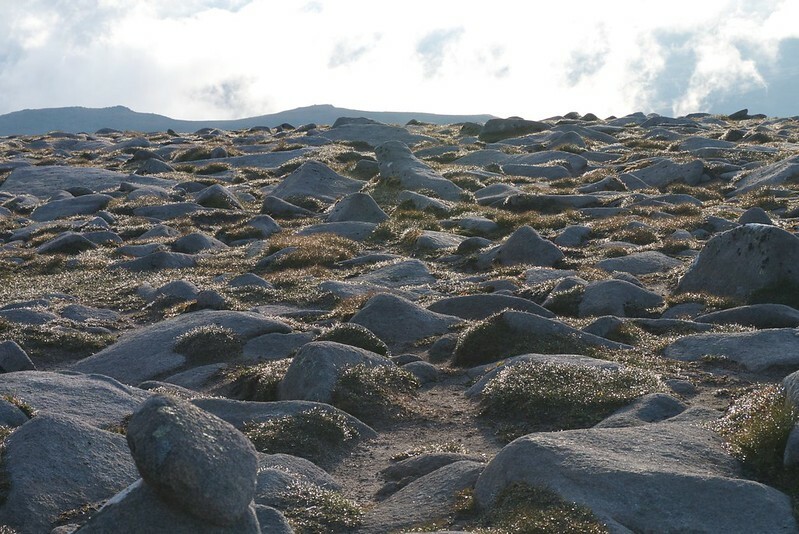 The ground around the bealach was rockier than I had remembered. After struggling to erect my tarp on one spot, I gave up and found another more promising spot. Another half an hour or so of faffing around. The tarp set-up seemed quite secure, but the fabric was noisily billowing in the wind. The light wasn't great for photographs and it was surprisingly chilly outside, so I decided to call it a night. 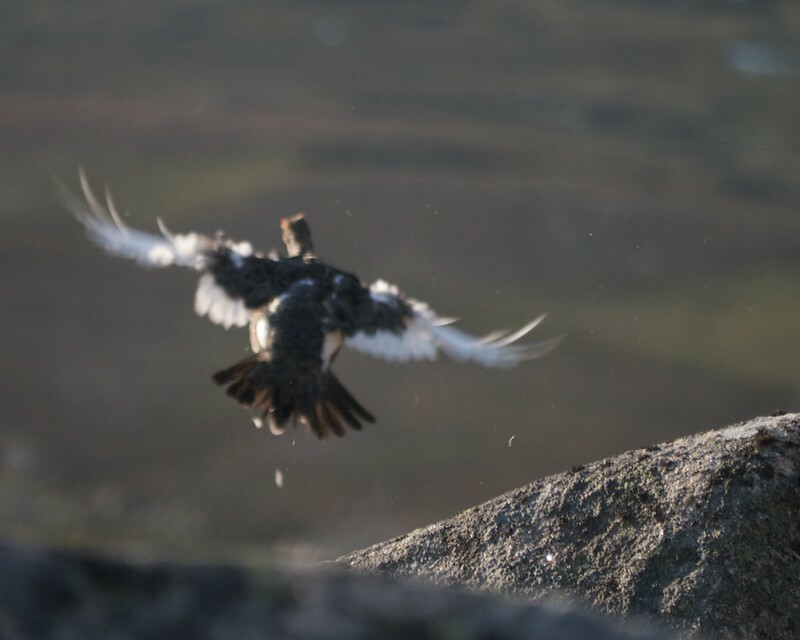 The tarp was nestling amongst rocks and set low to the ground, so it was a tricky manoeuvre for me to get into the sleeping bag, within my bivi bag, under the tarp… Still, I just about managed it and then read for a bit before trying to get to sleep. Eventually I managed that too. 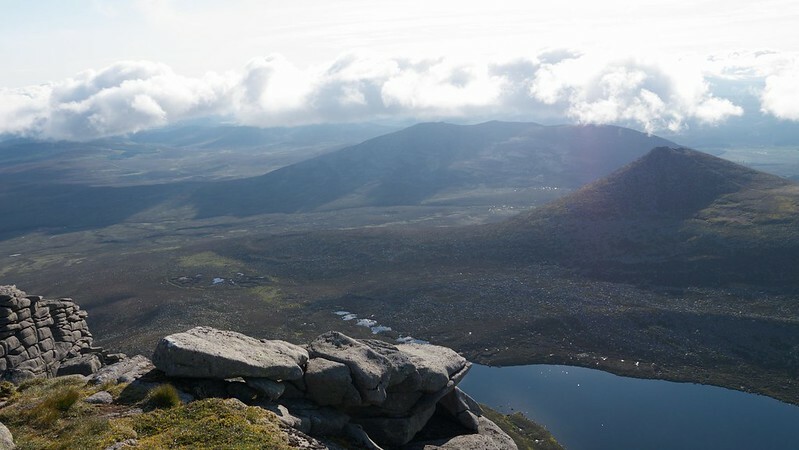 I was wide awake by 5am, so I got up and packed away all of my stuff after a quick breakfast, then wended my way up Meikle Pap. 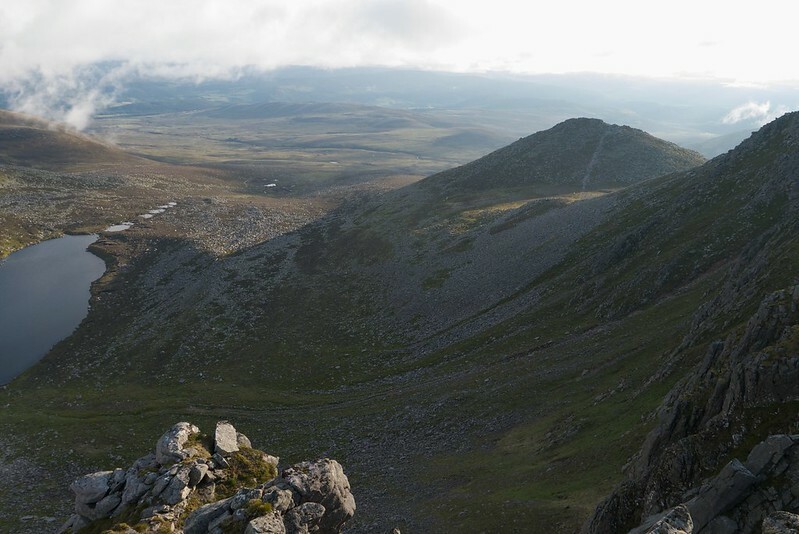 Back down to the bealach, then up towards Lochnagar, initially scrambling up the rocky 'ladder' above the corrie after deviating from the path. The sun was still hiding behind cloud, but gradually, over time, started to show itself. 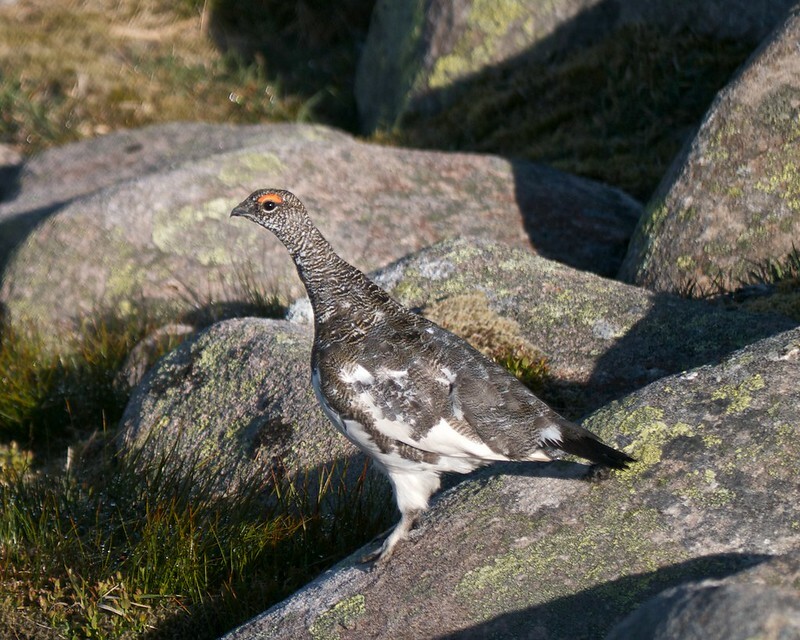 I heard a couple of ptarmigan to my left, and then spotted the first one, a male (I think). 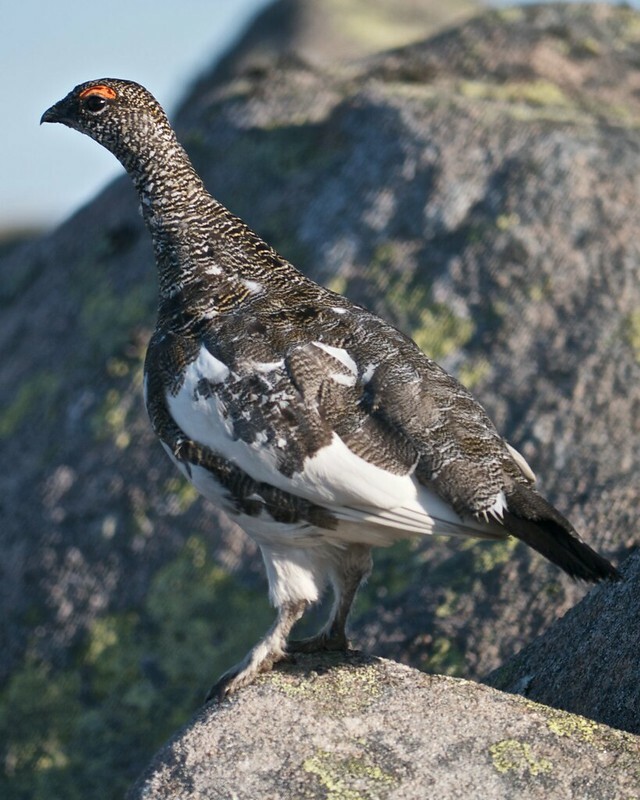 Snapped a few photographs of it and then realised there were in fact not two but six ptarmigans on the rocks only a few metres away from me! 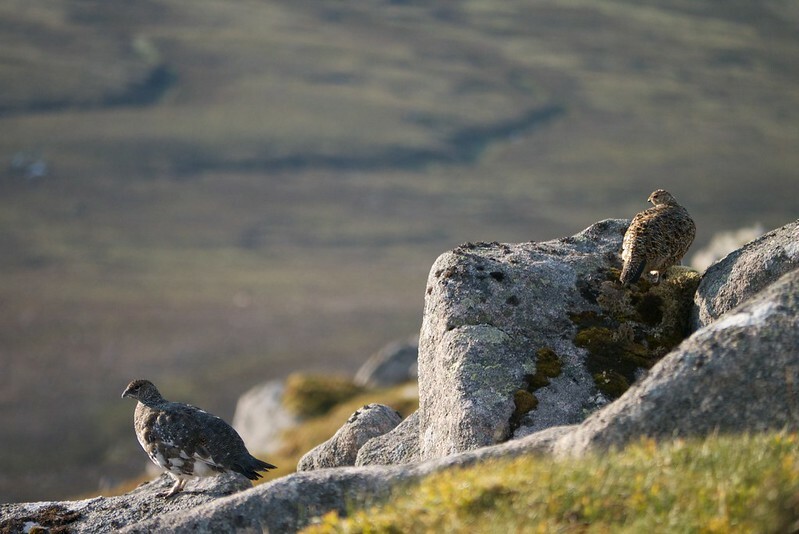 A benefit of bivvying in the hills - the animals don't expect people to be around so early in the morning! I continued upwards, around the rim of the corrie and across the flatter ground. 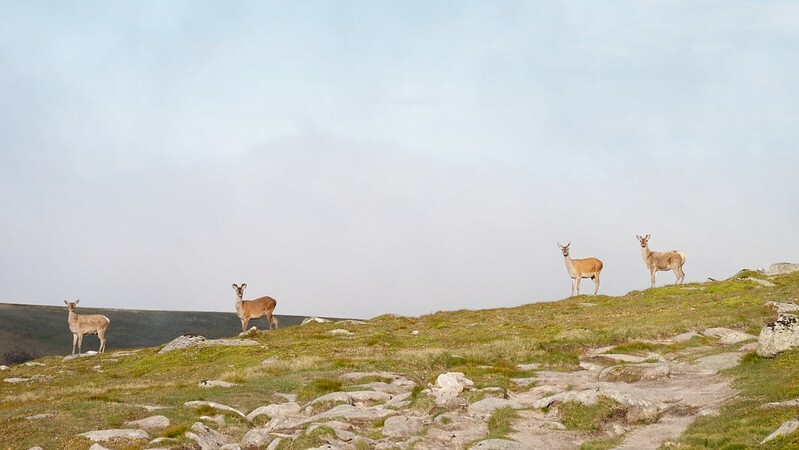 On the slopes to the southwest a group of deer was grazing. 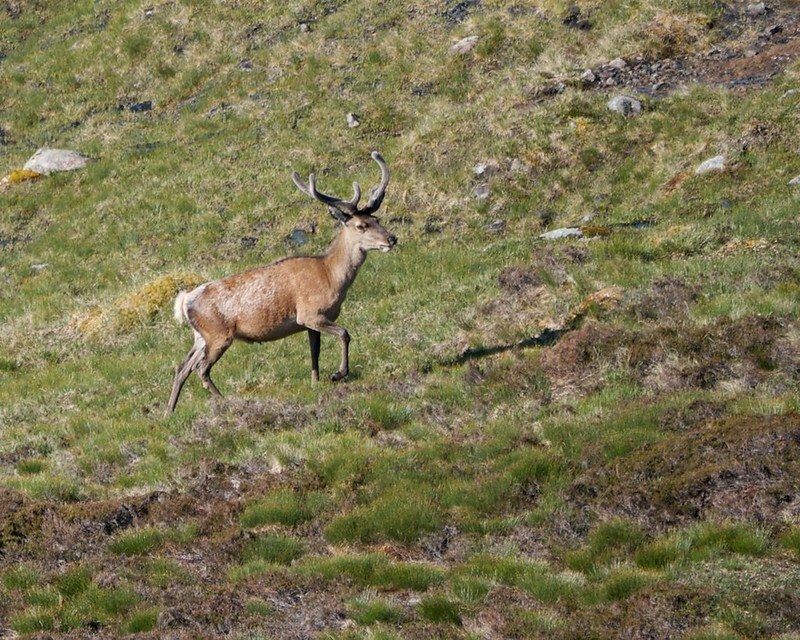 Heading further up around the corrie rim, I saw more deer and enjoyed excellent views down to the loch; Balmoral Forest beyond, and Meikle Pap. 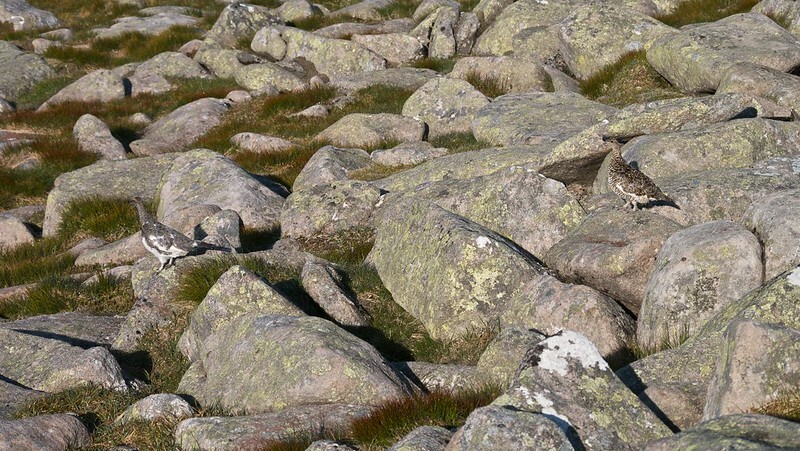 I spotted a hare bounding between rocks near the summit of Cac Carn Mor and I decided to try to get closer to it to capture it on 'film'. 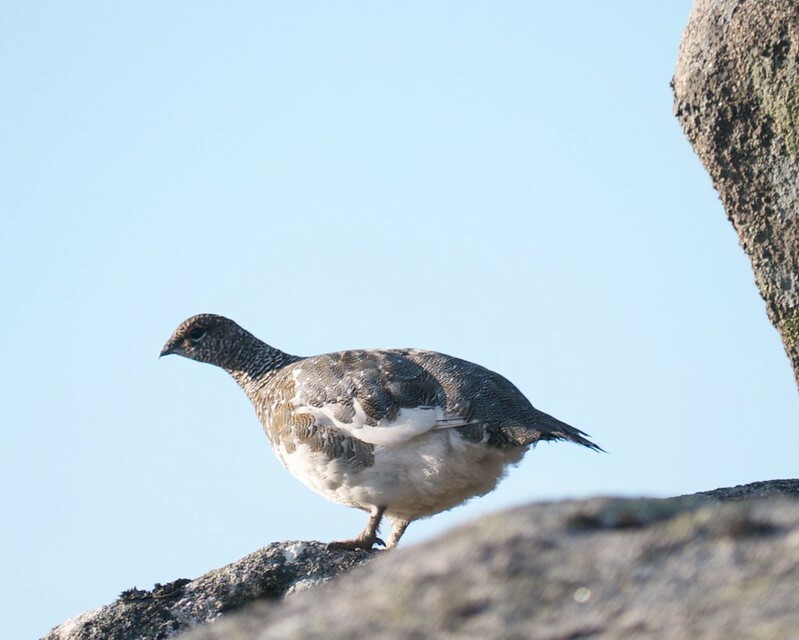 No such luck, but instead I stumbled across another pair of ptarmigan, even closer to me than the earlier six had been! 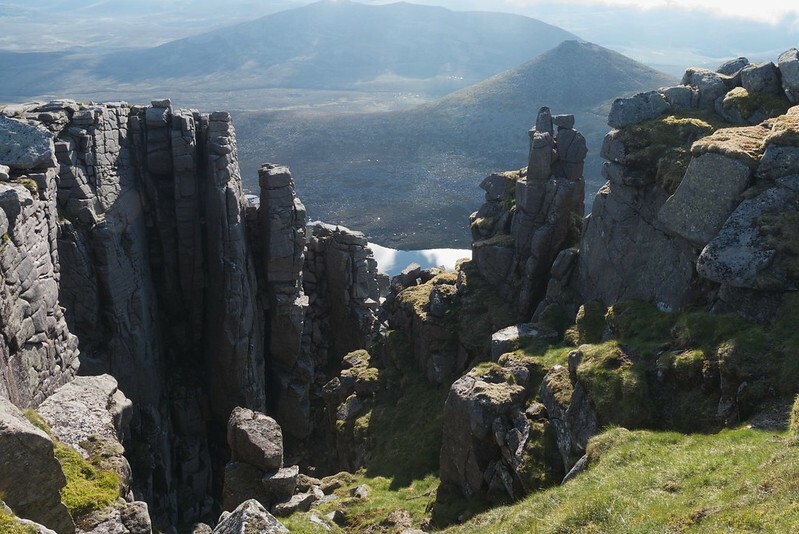 I made my way to the northern end of the cliffs, just to the east of Cac Carn Beag, where I sat for a while to savour the views (and the few strawberries I'd brought with me - it was Wimbledon Men's Final day after all). It was then time to head to the summit. 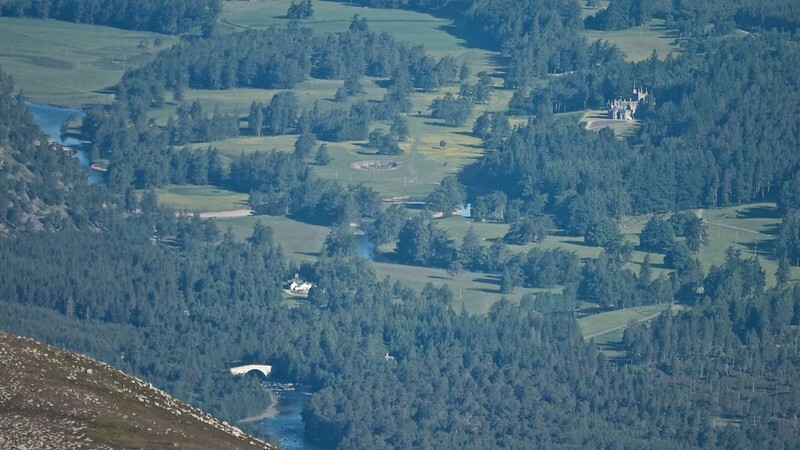 Until now, I hadn't realised how good a view of Balmoral Castle Lochnagar affords. I decided to descend by way of the track alongside the Glas Allt, which looked as though it had been improved recently. I didn't know what time it was - still early in the morning I assumed, but it was already getting hot as I made my way down the long track. 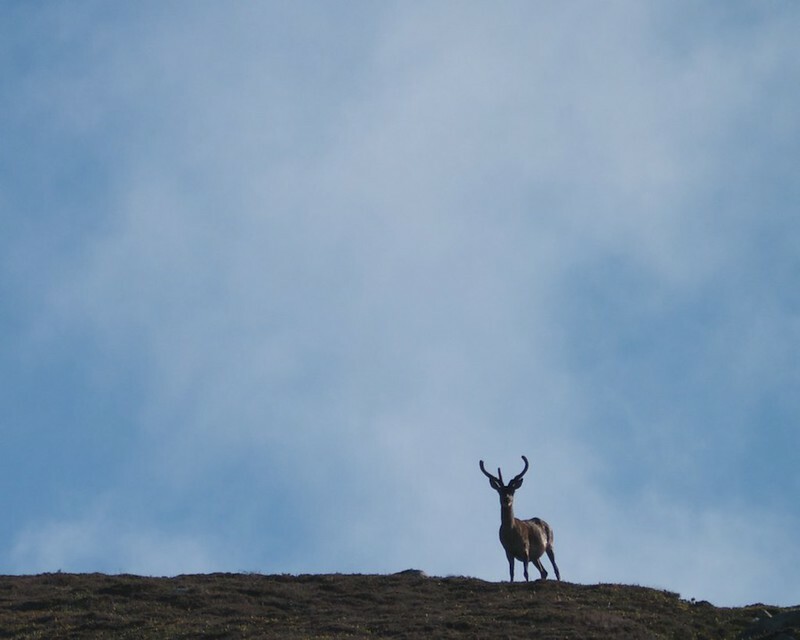 Several deer descended from the Cuidhe Crom - Little Pap ridge; crossed the track in front of me and then forded Glas Allt burn to reach the relative safety of the quiet Coire an Daimh Mhoile glen. 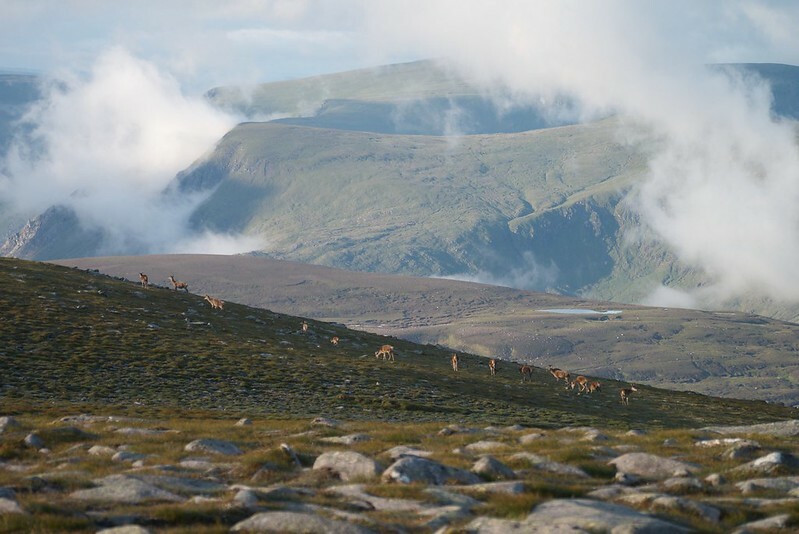 Maybe they realised that soon the ridge would be swarming (ok, maybe not quite swarming) with hillwalkers for the day. 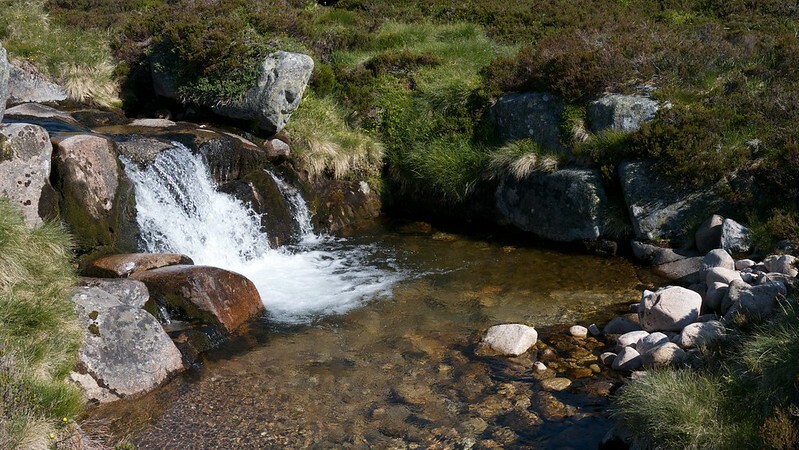 The various falls of the Glas Allt, both large and small, were a pleasure to see, and the water was crystal clear. 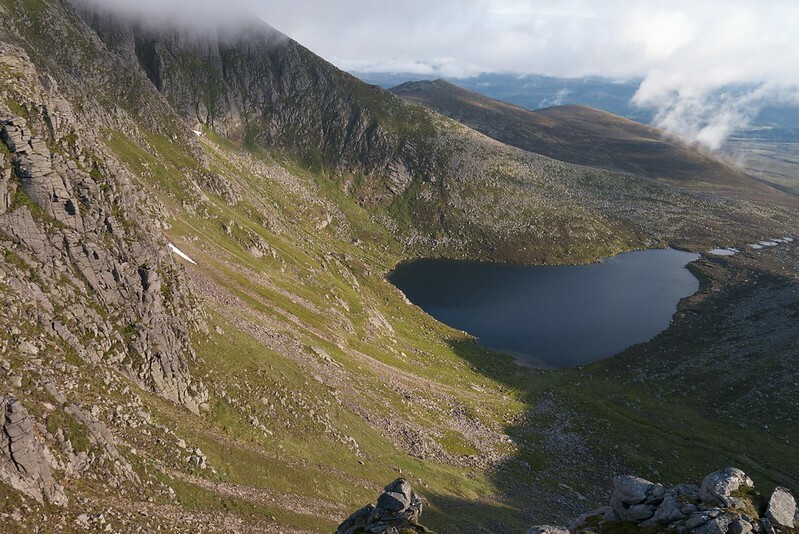 A little lower down, there was an excellent view of Loch Muick. I reached the cool of the woodland by the Glas Allt Shiel and wandered along the lochside for a while. It was a quick march along the sun-beaten track to the boat house, accompanied by my iPod (as I always find this not the most interesting of tracks). A few people and their dog were gingerly paddling in the water by boathouse, and others were relaxing on the beach. 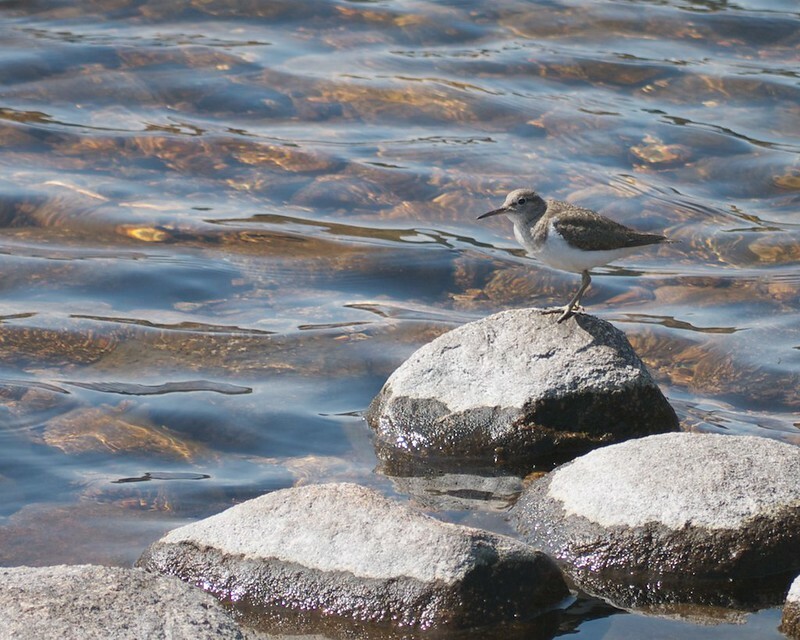 Further along, a sandpiper was being very vocal about something or other, I'm not sure what. Back to the car and then to Ballater in time for lunch and home in time to watch Murray beat Djokovic! 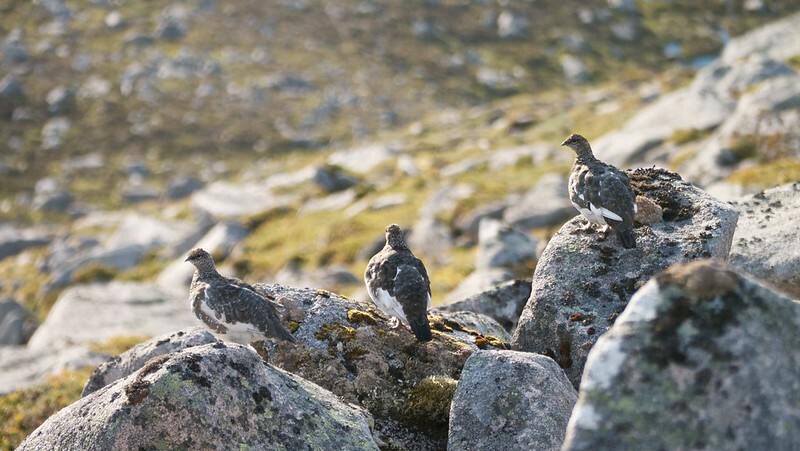 I've never seen such good ptarmigan photos.. Thanks for posting, I love it! Great hill this isn't it? 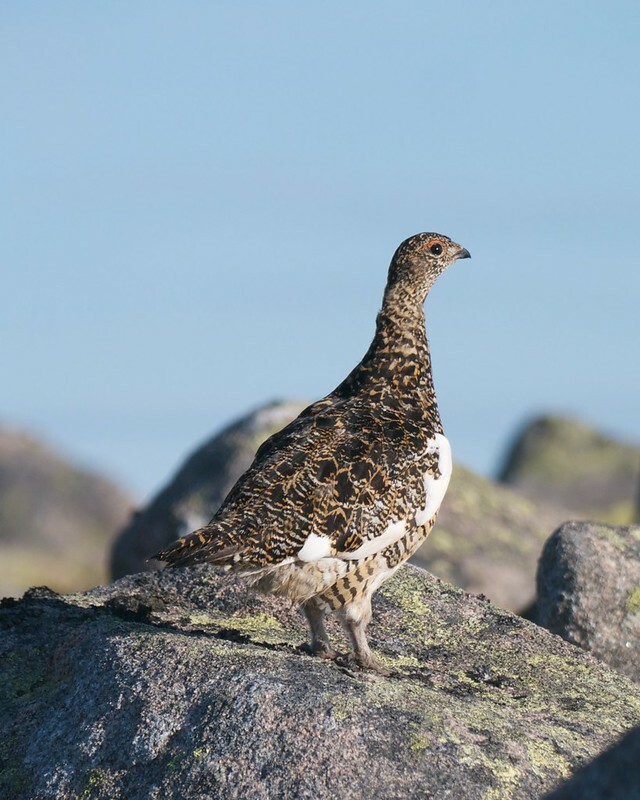 its a bit close for me, so I think I take it for granted and forget how amazing it is up there..
basscadet wrote: I've never seen such good ptarmigan photos.. Thanks for posting, I love it!